Lighting design is a fundamental moment in an interior design project. 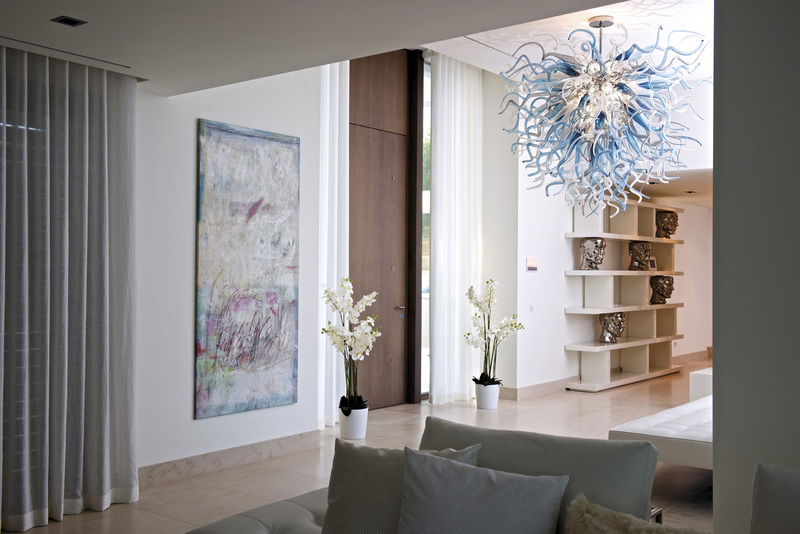 Light can emphasize an aspect of a room and overshadow others, it can create movement and emotion. 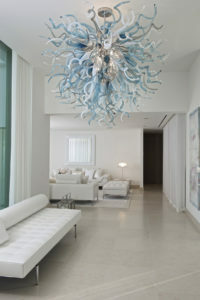 Light must interact with space and its functions, it must be designed so as to give personality and comfort to a room. 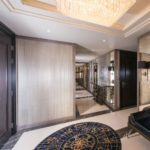 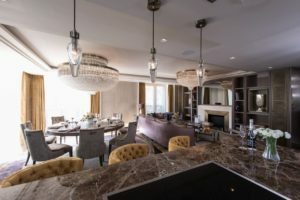 We have been collaborating for years with the most important professionals (interior designers, architects, …), offering our support for development of custom lighting solutions. A close cooperation was established with Taylor Interiors Studio, London. 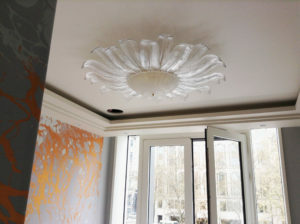 We recently collaborated with them in several projects. All of them are custom luxury interior design projects of great complexity and undeniable visual impact. 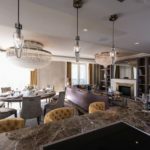 This year, Taylor Interiors Studio was nominated for 3 awards at the 2017 International Design & Architecture Awards, for a project where some of our creations were included. 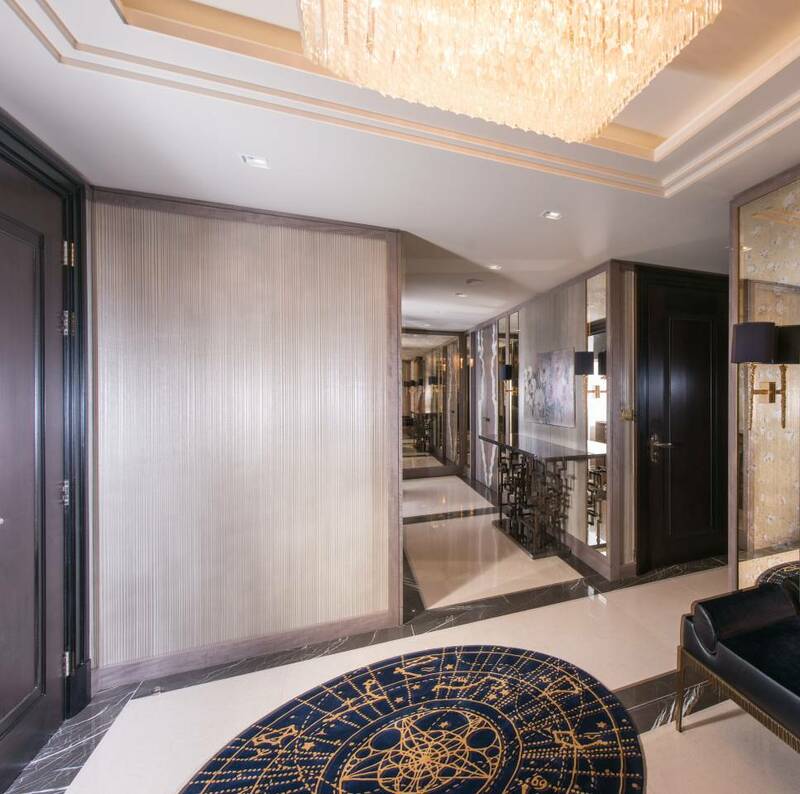 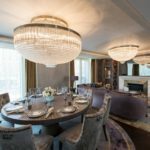 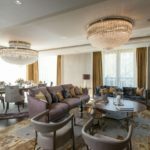 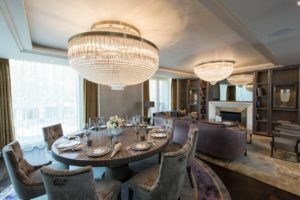 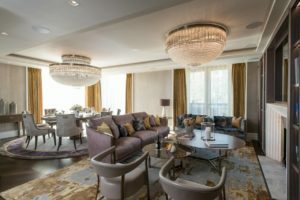 A luxurious apartment in Westminster, designed in Art Deco style, characterized by rich colours, Art Deco furniture, wall coverings and fixtures. 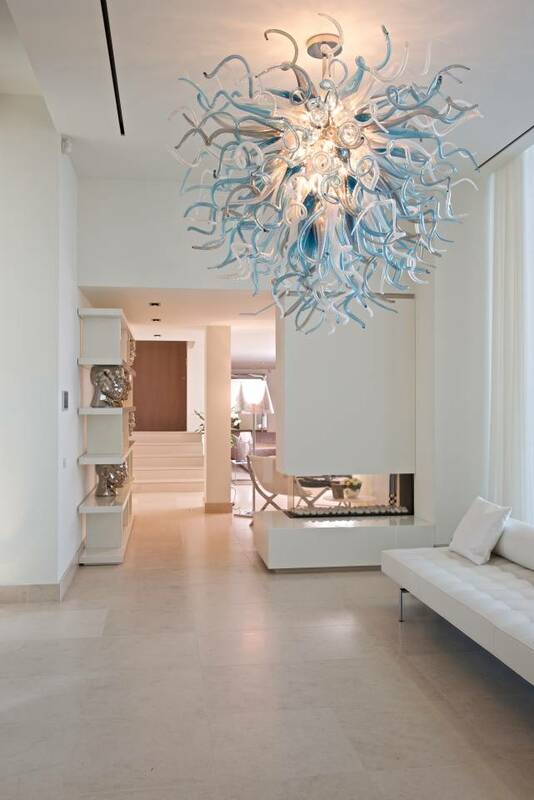 We were asked to create several custom-made, exclusive Murano glass creations to illuminate and embellish these refined rooms. 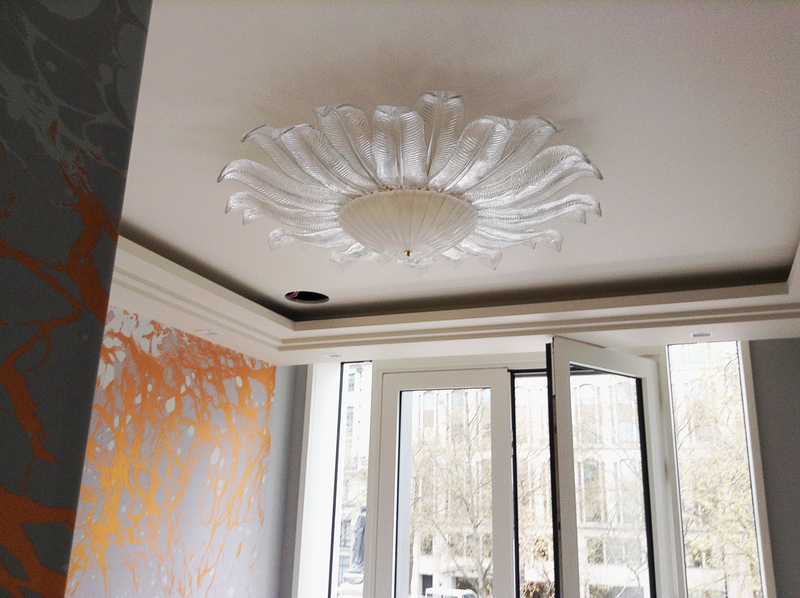 Living room: two polished custom ceiling lamps and three custom pendant lights, similar to an anphora. 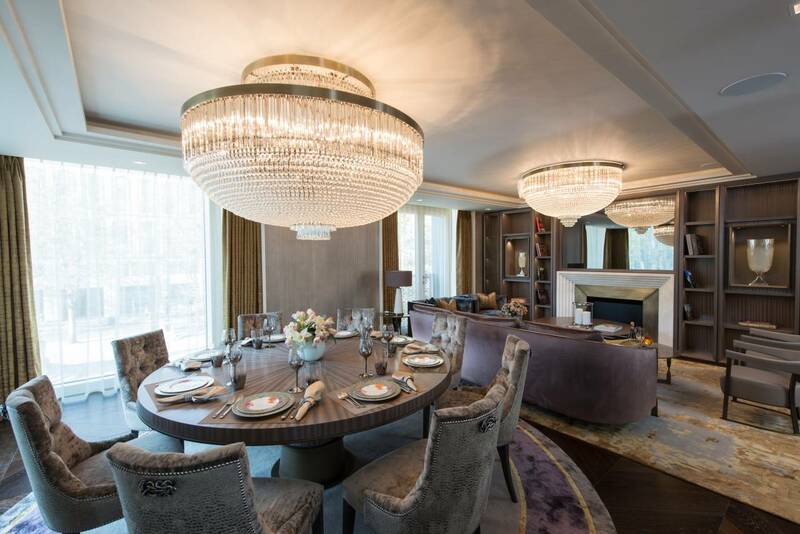 Clear glass and antique brass frame were choosen for both the pendant lights and the ceiling lamps. 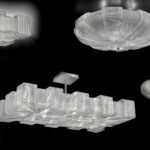 A custom ceiling lamp, characterised by the neat design and the perfect geometry of the glass components of Ambient collection. 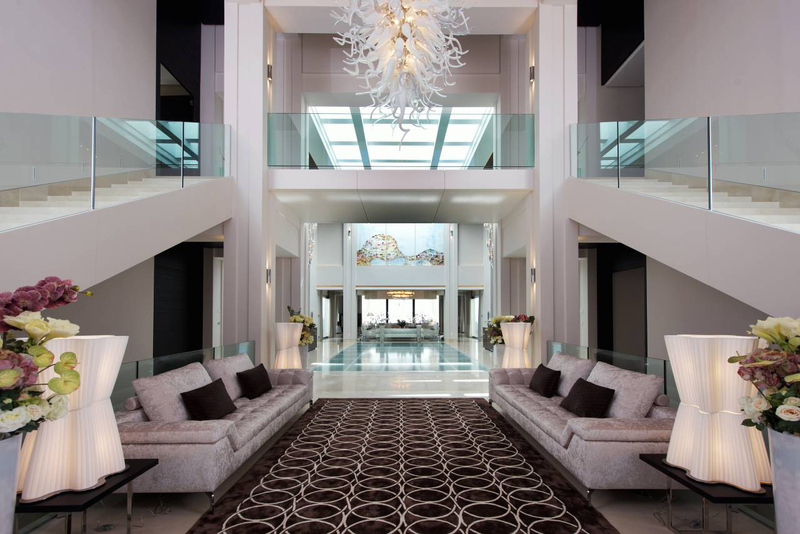 One of the most exclusive villa in the Andalucía mountain area. Set high on a hill, yet designed with flat gardens and grounds, the front is exposed to beautiful sea views, with mountainous vistas to the left of the property. 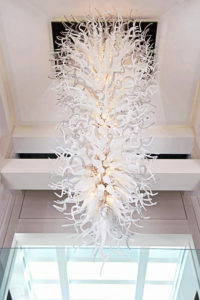 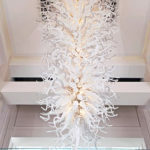 For the entrance hall of this luxurious villa we created a bespoke six-metre long chandelier. 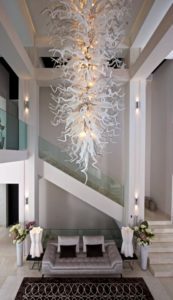 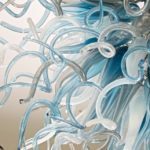 This stunning chandelier is composed of 700 pieces of handblown glass in five distinct colours: white, white and clear, clear with silver, light grey. 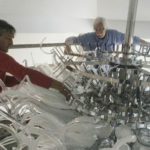 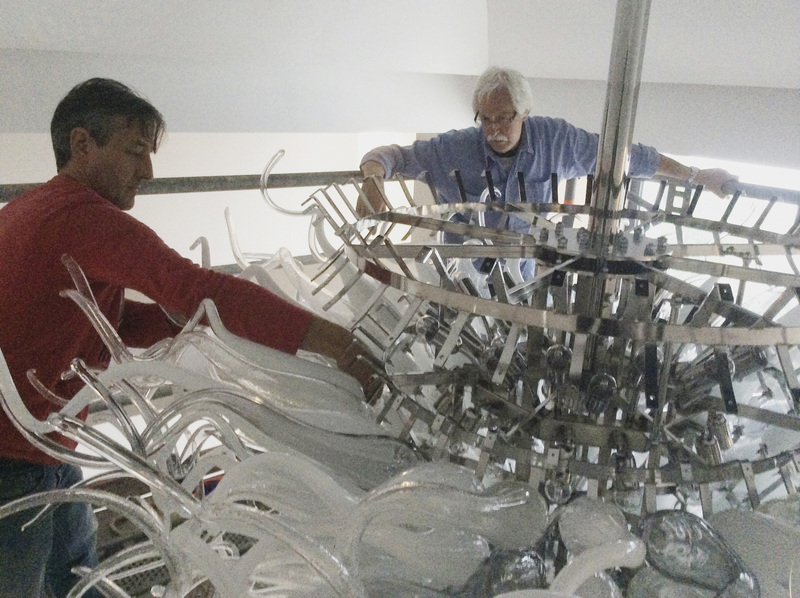 The chandelier weighs 900kg, so the ceiling had to be reinforced. 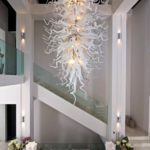 A spectacular minimalist villa, an exquisite holiday retreat nestled in beautiful Port Andratx, one of the Mediterranean’s most exclusive resorts. 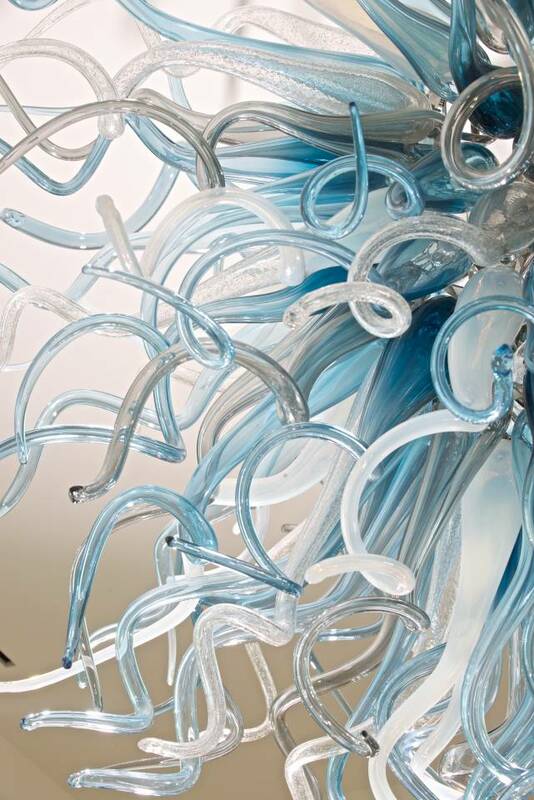 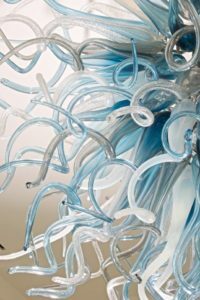 made of 148 hand-blown Murano glass elements, in six different colours: real silver, light blue, opalino of Murano, dark blue shadow to blue, grey, blue.